Auto insurance is something every driver in California must have, however there is no reason to over pay for the coverage you want. Our auto insurance experts at Bertilacchi Insurance have been insuring drivers in Stockton, Lodi & Manteca since 1964 and we want to help you with your auto insurance needs. Liability insurance covers any damages that you have caused to another party and/or their vehicle when you get into an accident. With liability, there are different levels of coverage that are available. 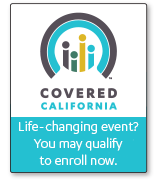 California law requires that those covered meet a certain level of coverage. Please contact us to find out the right level of coverage for you. Other options that offer more coverage are collision and comprehensive coverage. Collision coverage will cover your car no matter what kind of car accident you get into. If you were to get into an accident with an uninsured driver or if you crash into a light pole, the damages to your car would be covered with collision auto insurance. Comprehensive coverage is the most inclusive type of auto insurance. This policy covers and damage to your car, no matter how it occurs. This type of coverage is great for high-risk drivers. Contact us if you are looking to save money on your car insurance or just want to make sure you are getting the best rate possible. We make it easy on you, instead going to many websites attempting to get rate quotes, we do it for you. We are your one stop shop for all your auto insurance needs.